Even plagued with rain delays, the completion of the 911 Communications center is drawing near. The 911 Commission approved a change order at its March 20 meeting to adjust completion date to June 4, approximately 109 days after the original date of Feb. 14. Architect George Minturn reported the contractor cited 88 rain delay days, as substantiated by the official weather station at the Natchitoches Parish Airport. The contractor also cited 21 days for foundation issues resulting from groundwater infiltration at the onset of the project. The resolution gave Minturn the authority to submit the change order. The commission also approved advertising for bids for workstations at the center. The bids will be for an initial eight stations although the center is designed to accommodate more stations should the need arise in the future. 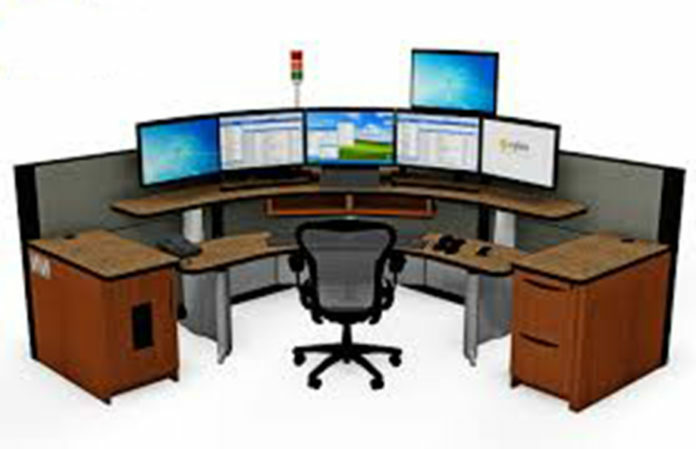 The stations include a desk, shelves to hold multiple monitors, keyboards, recording devices, wiring and more. Minturn reported the glass materials that had been delayed were on site and were being installed. “The bricklayer is almost done and the parking lot it paved,” he said. In addition, the drywall and roof are complete. Fencing around the perimeter of the 3-acre site will be one of the last projects, with an additional fence around employee parking that will only be accessible by secure access. The financial report reflected a loss of over $7,000 in revenue from wireless income compared to the same time last year. Accountant Rebecca Jones stated two payments from national carriers came too late to be included in this month’s report, but would be reflected in the next statement.